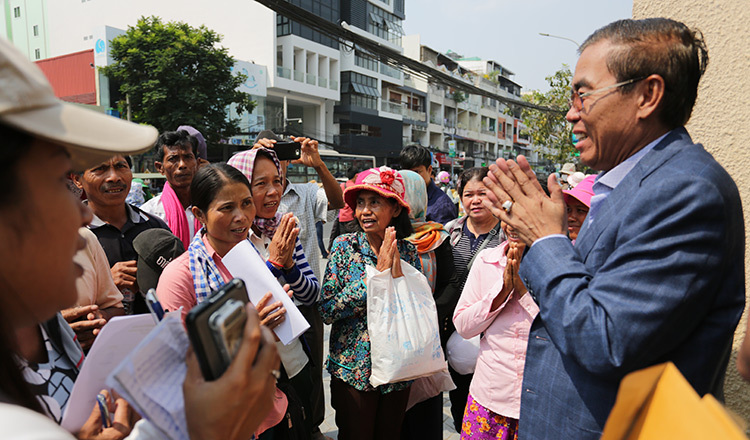 About 200 residents from four provinces submitted petitions to the National Assembly and other state institutions yesterday in hopes of resolving their long-standing land disputes. 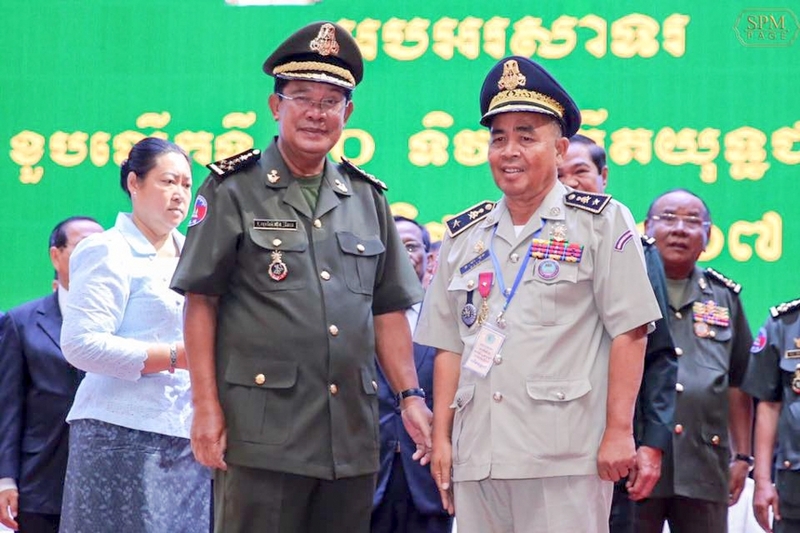 They represented 6,822 families on a total area of more than 19,145 hectares of land in Tbong Khmum, Svay Rieng, Kandal and Preah Sihanouk provinces. They submitted petitions to the National Assembly, Council of Ministers and Ministry of Land Management. Yoeurng Ren, a resident of Preah Sihanouk province, said 49 families had lived on and used 62 hectares of land in Sihanoukville’s Buon commune since about 1990, but didn’t have land titles because they didn’t understand much about the legal aspects of land registration. He added that authorities asked them to leave the land in 2017, claiming it belonged to a tycoon. “The purpose today is to ask the Council of Ministers to intervene with people who have had a chronic land dispute for many years, but still no solution,” he said. 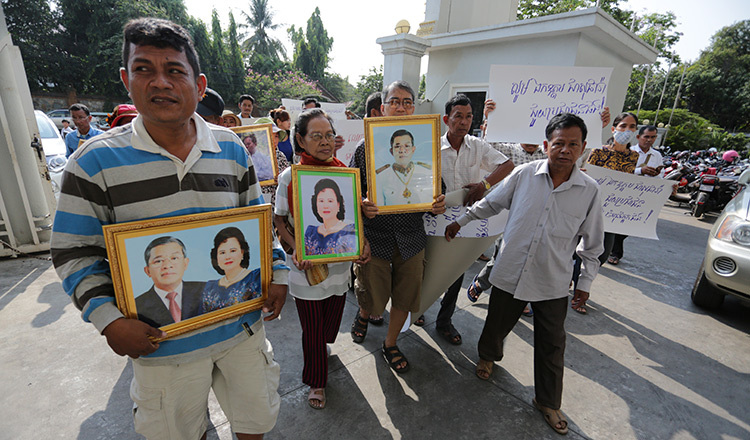 Touch San, a 61-year-old resident of Tbong Khmum province’s Memot district, said that authorities in the past had measured the land on which 777 families resided, but had not provided them land titles, making them worry about losing their land. “Please government, help to intervene and provide land titles to the people because we are afraid they will take our land. We are poor, they are rich, and they will just spend $100,000 to $200,000 to take our land,” he said. Some residents from Kandal and Svay Rieng provinces, who tried to submit petitions to the same three institutions, were prevented from doing so by local authorities in Svay Rieng province’s Romeas Hek and Svay Chrum districts, and another location in Kandal province’s Kandal Stung district. However, a few representatives of the two provinces were allowed to submit the petitions to the relevant institutions as planned. Nhel Pheap, coordinator of the Coalition of Cambodia Farmer Community, said the petitioners had long-running land disputes with traders, private companies and powerful people but there was no solution yet, making their living conditions difficult. “All the residents who have land disputes are asking for intervention. They want the land measured and allocated based on the amount of land they are actually using,” he said. Pal Chandara, a representative from the Council of Ministers, came to take the petitions of the people and said they would be forwarded for review. 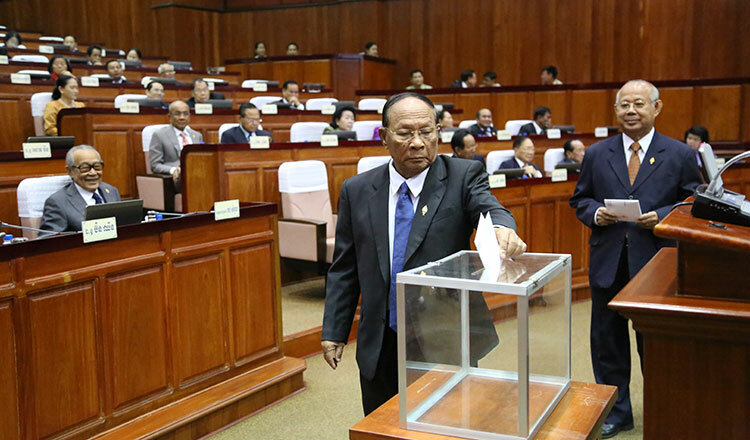 “I will take their petitions to the Deputy Prime Minister, who is the chairman of the National Authority for Land Dispute Resolution, and I will report to him,” he said. Representatives of the Ministry of Land Management and the National Assembly also accepted the petitions of the people, saying they would be sent to leaders for review and settlement.